Become top farmer in the mega-hit Farm Frenzy game. Get your ducks in a row and start earning dough ! Skill, dexterity and a little luck are what will help win this fun and highly addictive game, which tops all other cube crushing and bubble shooting games! 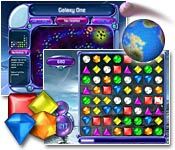 Bejeweled 2 is a fast, challenging and colorful game that offers you rich animation and various game modes. Download Size: 18 Mb Diner Dash 2 is the successful sequel to the mega hit diner dash game. It features better graphics, more customer types and more power-ups and upgrades available. Be the top waiter – serve customers fast, get cool upgrades and create the best restaurant in town! Grand Fantasia is set in an elaborate fantasy world. Enjoy various innovative features, including: character and sprite customization, a branching class system, sprite crafting, an incredible menagerie of mounts, player-versus-player (PvP) combat, team-based battlefields and more. Spin the wheel, buy vowels and win the jackpot. 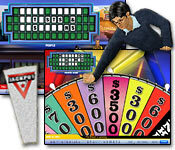 Wheel of Fortune is the electronic version of the known old and love TV show. This trivia game is one of the most successful ones – world wide! 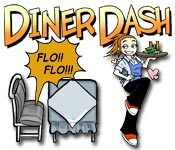 Diner Dash is fun, fast and colorful waitress game. Build a successful restaurant by supplying your customers with a quick service and fresh food! 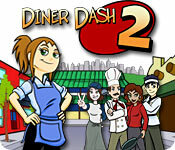 Diner Dash is the original game that began the mega hit series of dash games. Get the newest and all-times best games updates. 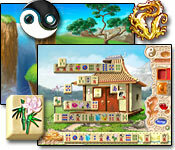 Mahjong Quest III offers you 800 interesting puzzle layouts in 72 difficulty levels, so any gamer will find a match. Your goal is to clear the game board by removing matching tiles. 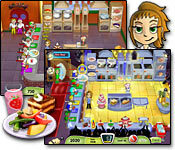 Download Size: 8 Mb Cooking Dash is the ultimate combination of restaurant, waitressing and cooking game, all in one! Cook, sit and serve hungry customers in Cooking Dash – the greatest ever time management game.Build a successful restaurant by supplying your customers with a quick service and fresh food!